Happy weekend, friends! Here is a sneak peak of our pumpkin pie. 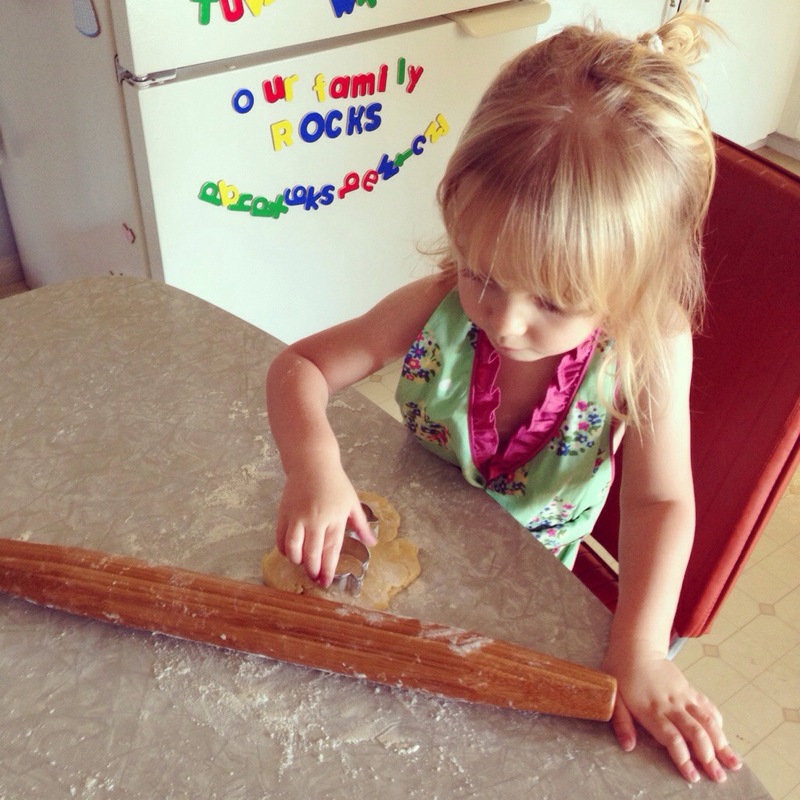 Little Bird is cutting cookies out of the pie dough scraps. I found some mini cookie cutters of leafs and pumpkins. Naturally, no kid can resist. She was also a natural at rolling dough and measuring cups of flour. She even came up with an innovation I will copy! I instructed her to sprinkle the little leaf cookies with cinnamon and sugar, but instead she picked up and pressed each cookie into the bowl of sugar and spice. It stuck better and was distributed better. Love that! We are making pumpkin, but used the same all butter crust recipe from my chocolate espresso pecan pie post here. My only lament is that her cookies will not make it to the top of the pie. Little Bird and Papa finished them off while I was taking a nap with Baby. I don’t know what we are having for dinner, but I am off to finish dessert. This entry was posted in Uncategorized and tagged cooking with kids, pies. Bookmark the permalink.